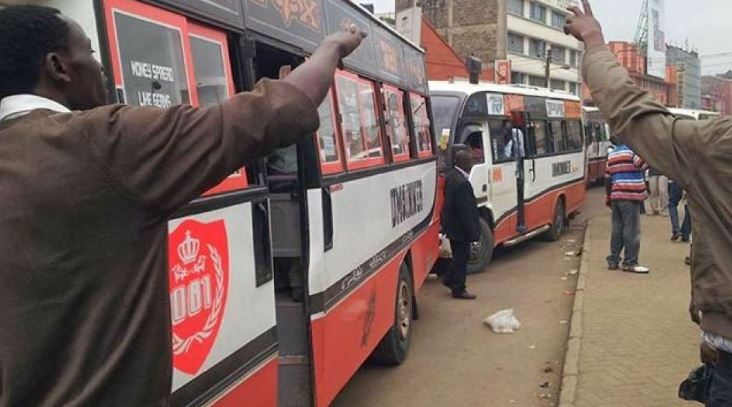 The National Transport and Safety Authority (NTSA) has called on commuters to report cases of matatu operators hiking fares. This comes in the wake of the enforcement of the ‘Michuki rules’ and the suspended ban of matatus from the city centre that saw matatus operators hike fates by up to 100 percent during rush hours. NTSA on Tuesday noted that it had received complaints from members of the public “regarding exploitation through arbitrary increase of fare by PSV operators”. 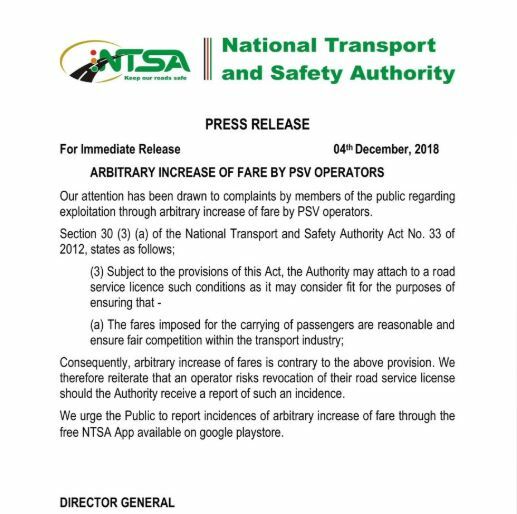 According to NTSA, the hike in fares is contrary to Section 30 (3) (a) of the NTSA Act No.33 of 2012 that states fares should be reasonable to the commuter while ensuring fair competition in the transport industry. In a statement, NTSA Director General Mr Francis Meja warned that matatu operators found to have increased fares will have their road service license revoked. “We reiterate that an operator risks revocation of their road service license should the Authority receive a report of such an incidence,” said Meja. The Authority wants commuters to report instances of hiked fares through its Google Play app.